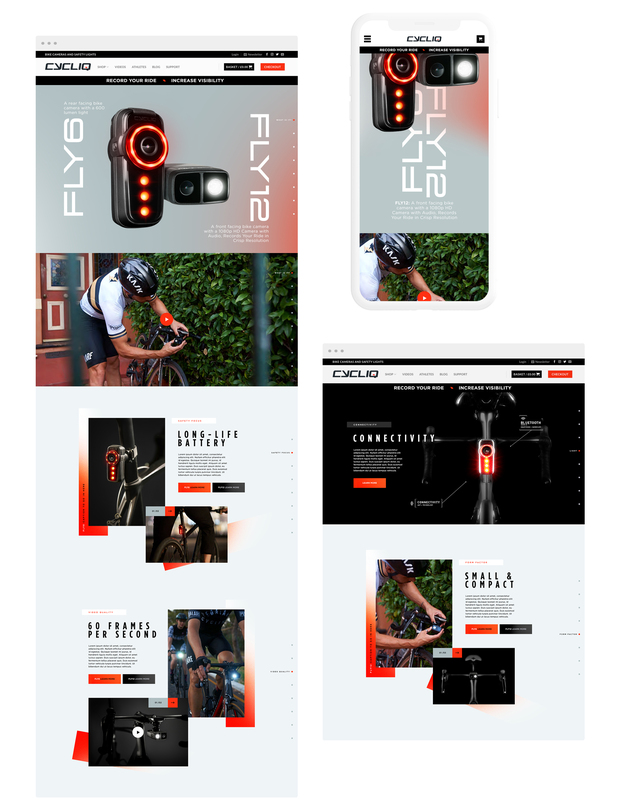 For the product launch of the FLY6 and FLY12 we designed a campaign microsite to showcase the unique technical features, through contemporary design and slick parallax animation on scroll. Beautiful and innovative product design, needs a platform to truly shine. A space to breath and inhabit where the customer can focus on the aesthetics of the products, have time to marvel at the market-defining technical features and can explore and interact with the site in a way that is inspiring. 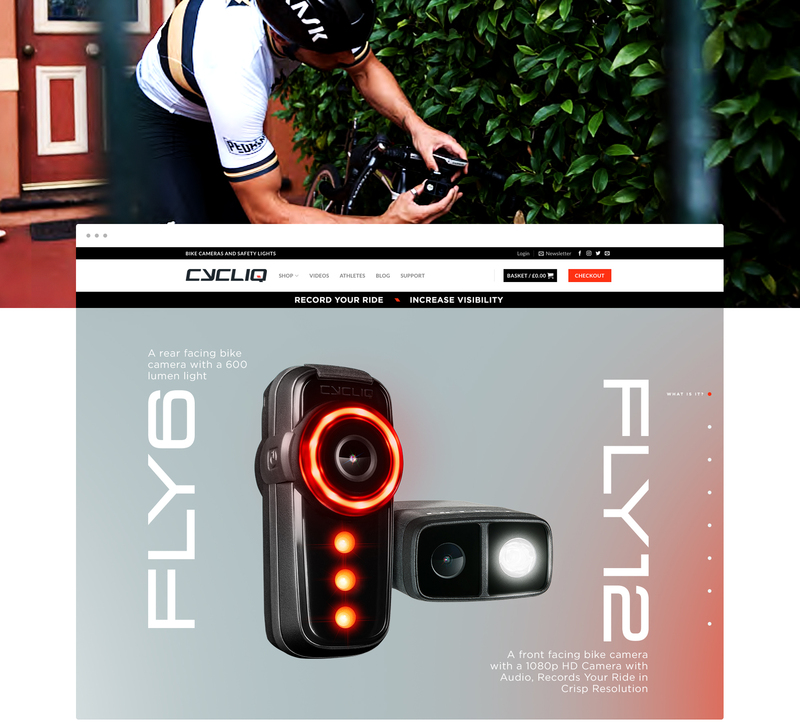 On landing the two product names, FLY6 and FLY12, are side by side in the centre of the screen. On scroll the names slide apart to reveal the products, while it's lights glow and reflect off the side of the site's canvas. An amazing, scene-setting opening that is rarely seen in the world of cycling. The content is viewed one screen at a time, either by scroll or by clicking the navigation indicators down the right-hand side. 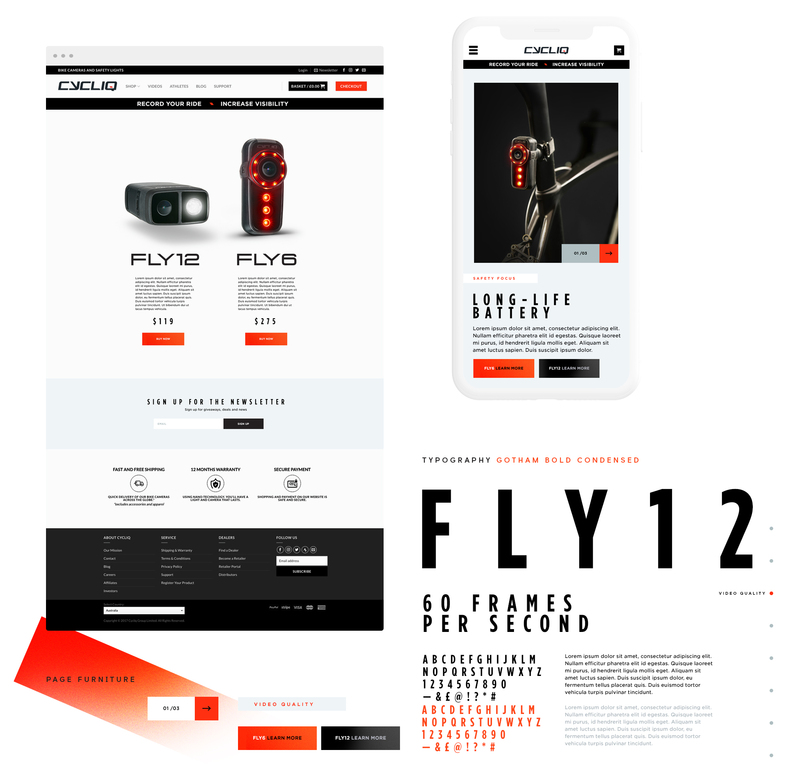 This gave the site an app-like feel and allowed the user to focus on one technical feature at a time. Each screen had either a carousel or a video to view, so not overwhelming the user was really important. Typography was really at important with this microsite, in setting a contemporary tone and visual language. Alongside the crisp and clean page furniture, it helped to create a really considered design aesthetic that has helped to define their visual language moving forward.